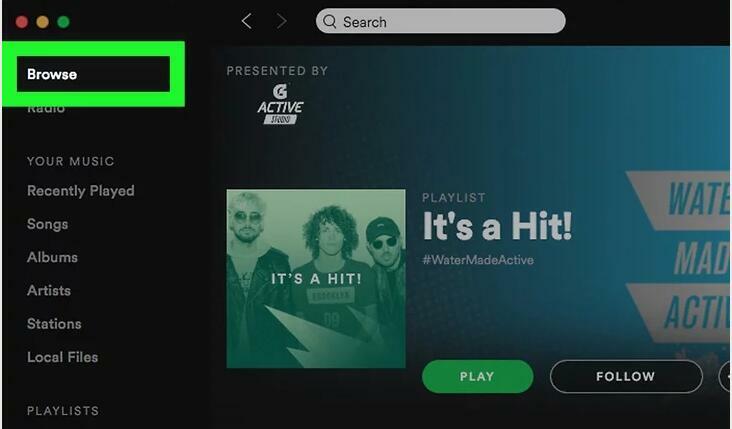 Actually, moving your Spotify Music to an Android devices is not an impossible mission anymore since there are a number of ways and services that can help you–you can download Spotify music first and convert Spotify to MP3 android. And this tutorial here will offer the best solutions on how to convert Spotify to MP3 android for you. Step 2: Login in Spotify using your account information. Step 3: Discover the music you love in search box. There are different kinds of music listed in different moods as well. You can choose anyone you like to play. Step 4: Made playlist for different kinds of music you love and enjoy. 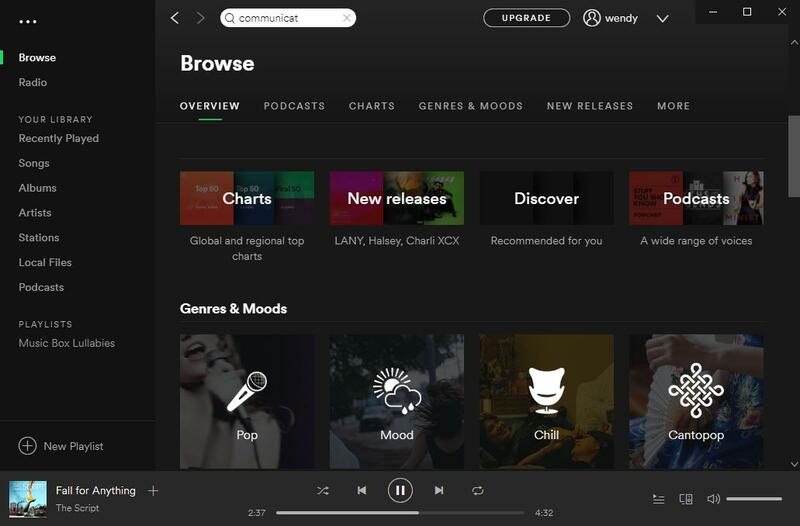 Though Spotify App brings music enthusiasts more convenience online, there are still some problems for offline enjoyment of the music since Spotify doesn’t allow users to download music at all. Fortunately, there are some Spotify downloader apps available and Spotify Downloader will be recommended to you. Spotify Downloader is a great app which allows you to download tracks in playlists from any Spotify user account in simple steps. Step 1: Visit www.getjar.com on your Android and click “Quick download” at the bottom, then enter 924986 to download and install Spotify Downloader on your Android phone. Step 2: Enter your Spotify user account name, and then click on the playlist to select the tracks and click on “Start”. Step 3: The Spotify music will be downloaded soon. Actually, when users cannot download Spotify music even with some free downloader, it’s because of the DRM-protection on Spotify music that prevents users from downloading music from Spotify and listening to Spotify music on their own devices offline. On this occasion, the best way on how to convert Spotify to MP3 android is to make use of the professional software. And the built-in Prof. DRM Spotify Converter would be the most effective Spotify to MP3 app which can help users remove DRM from Spotify and convert to MP3. Leawo Prof. DRM is a powerful program designed for removing DRM from iTunes video(movies and TV shows), and working for DRM removal from eBooks, music, etc. and converting the DRM removed files to free common format such as MP3, M4B, M4A, AAC, WAV, FLAC for freely playing on different music players. 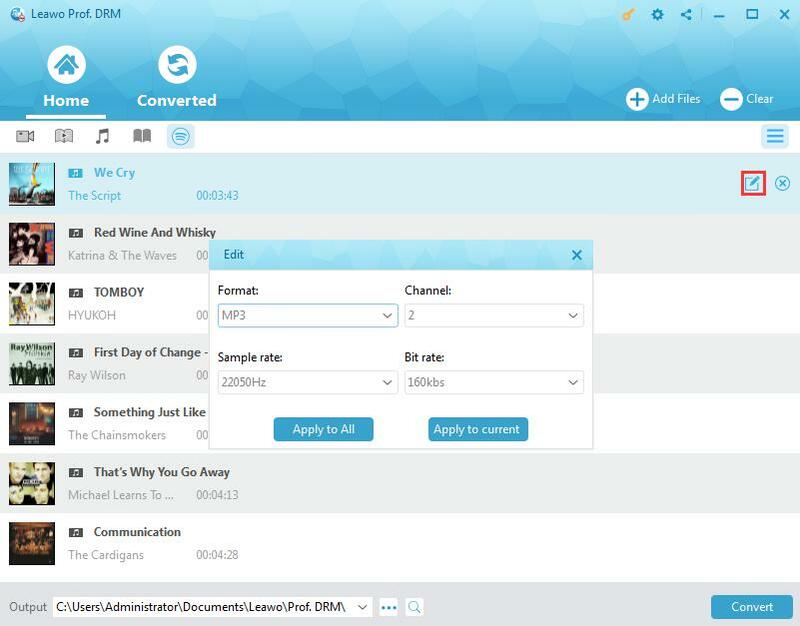 As the one of the best DRM removal software, except for keeping original quality completely, Spotify Converter also enables users to adjust audio channel, bit rate, sample rate of the Spotify music for a better quality output. With this Spotify converter to MP3 android supported format, you can now get DRM free Spotify music by following the guide here. Note: You are required to launch Spotify and play songs smoothly before you start Prof. DRM. Run Prof. DRM first and then click the Spotify icon to add the Spotify songs, albums or playlist. 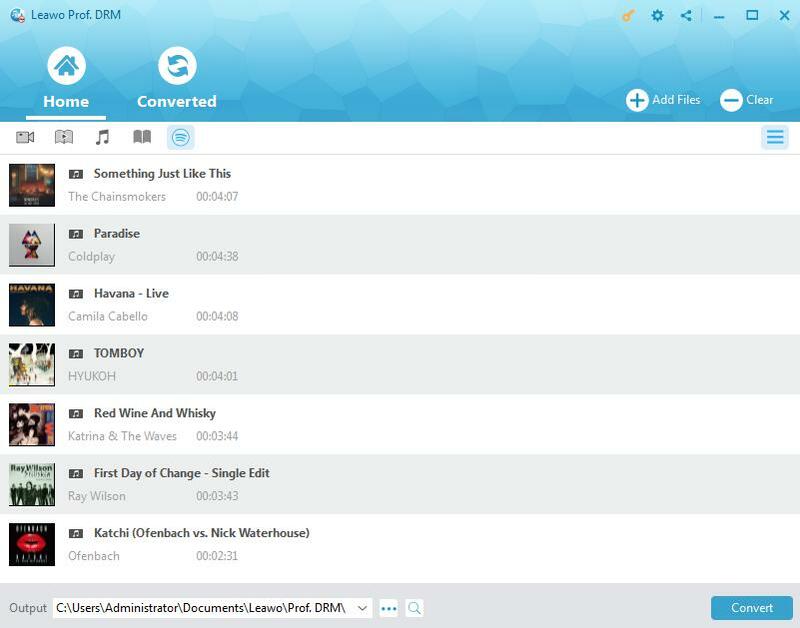 Besides, to drag and drop the album/playlist to the program is also available. 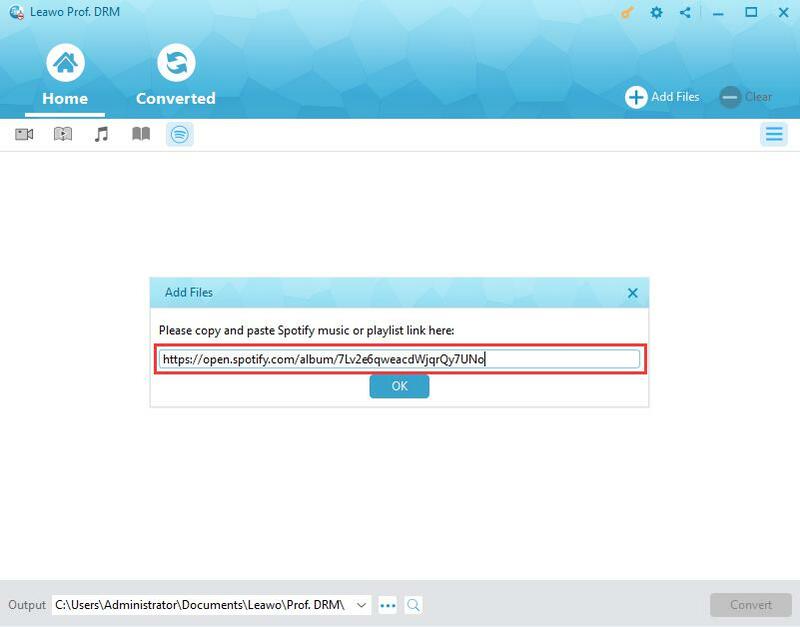 Additional announcement: Users of web version of Spotify are also able to add the Spotify music file by copying and pasting the URL to the program for importing. Move your mouse on an imported song to show the editing icon, and then click it to freely select MP3 as output format and set proper sample rate, bit rate, audio channel. Then choose “Apply to All” to apply this settings for all the imported music. Click the output button “…” at the bottom of the interface to select one output directory to save the converted file. Click the blue button “Convert” at the bottom to start removing DRM and converting Spotify music to MP3. Finally, you will be able to check the converted files under the “Converted” panel in seconds. You can find the converted MP3 songs in the file folder you saved. 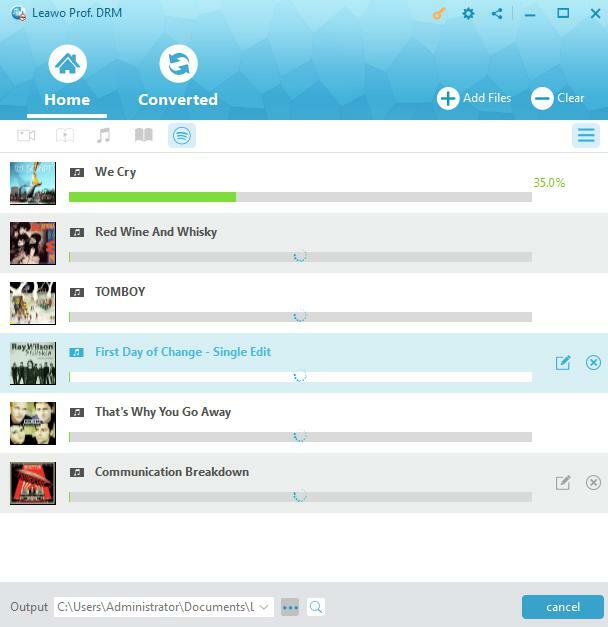 Now connect your Android devices to your PC with the USB cable or WIFI, and send the songs to your devices directly. And you will play the music smoothly and freely on your Android device. Step 1.Open the Spotify app and then browse the track you are intended to download. Step 2: Tap the three-dot options and then the press Save option. Step 3: Go to “Your Library”, there will be a “Download” switch beneath the “Shuffle Play” option. And then please turn it on to see a downloaded arrow with each track when they have downloaded. This can also be a Spotify to mp3 app which might be the very convenient for users to download and listen to Spotify music. The offline function for subscribed users allows them to listen to the downloaded music without the Internet. There are several solutions mentioned for downloading Spotify music and enjoying the music freely on Android. Then which solution would be the best and most suitable for you? You can have a look at the comparison table below to get their pros and cons so as to choose the most proper and convenient way. Compared with each other, the solutions mentioned here are all have their own pros and cons. Spotify app is the official program that allows users to listen to the large amount of songs from all over the world for free. Nonetheless, it doesn’t allow users to download music and listen to music offline. Besides there might be some annoying ads that may break in the listening experience. While Spotify Downloader is a totally free program that helps users to download Spotify music. It is somewhat useful and helpful. But sometimes downloading will not work and the ads are also unpleasant. 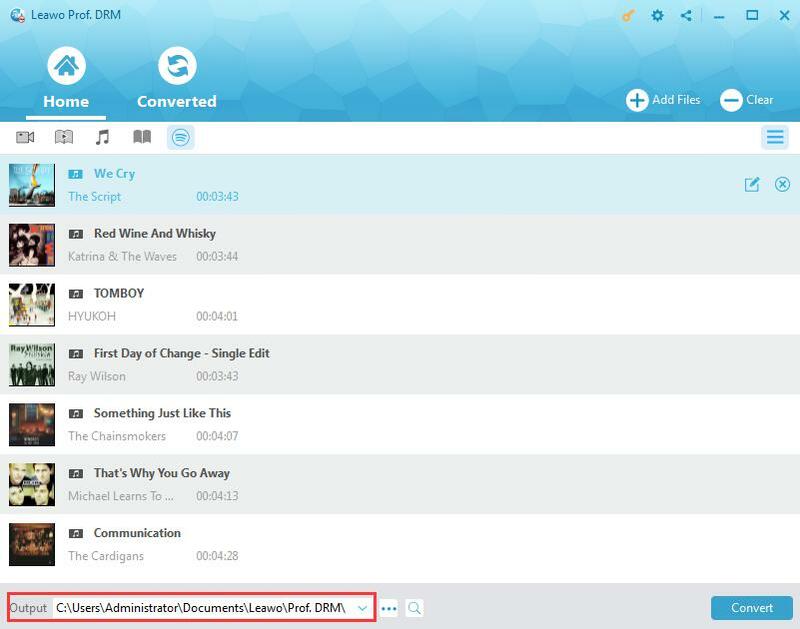 Additionally, as Spotify to mp3 converter android, Prof. DRM is amazing software that allows music enthusiasts to get their beloved music in DRM free music in common format like the popular MP3. This could be a Spotify ripper Android app that can completely remove the DRM protection from music. What’s more, it is quite economic compared to the Spotify Premium. The monthly cost would be a little bit expensive for some people, though relatively speaking, it offers excellent service to some extend. Anyway, it depends on you to choose Spotify music converter app or premium or cost-free solutions according to your actual needs. The solutions offered here will give you detailed and considerate recommendation. To solve the problem of Spotify to MP3 on Android would be the main goal here. Feel free to have a try!